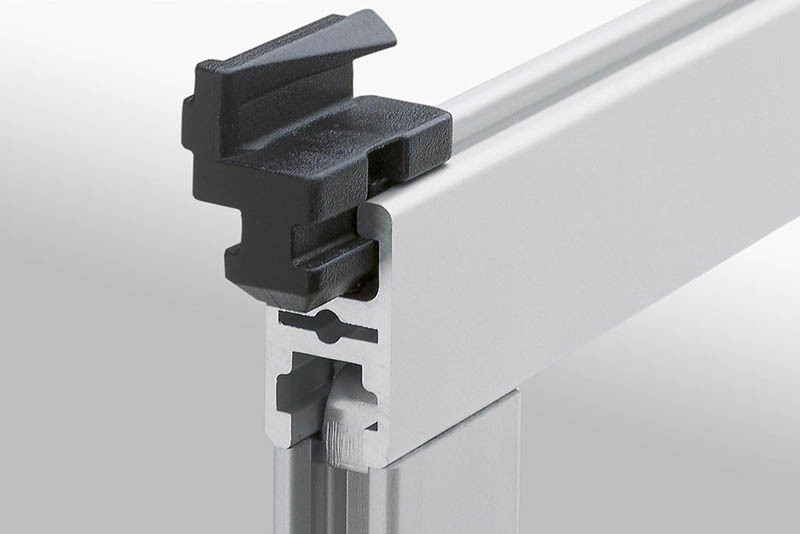 When constructing sliding doors for lightweight guards, display cabinets and other structures, the clamp profile is an ideal foundation. The clamp profile is cut to the required size from 3 metre lengths, enabling exact dimensions and shapes for the given task. 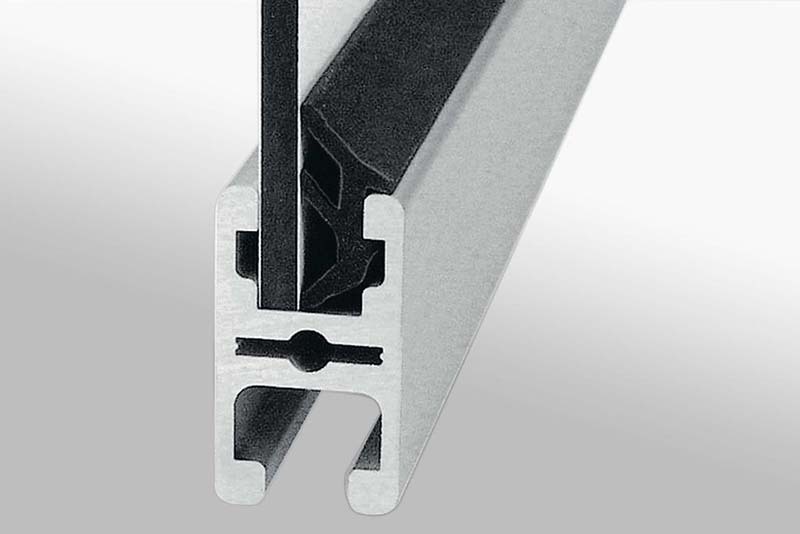 Ensure a correctly positioned corner connection with one of the two styles of fasteners available. 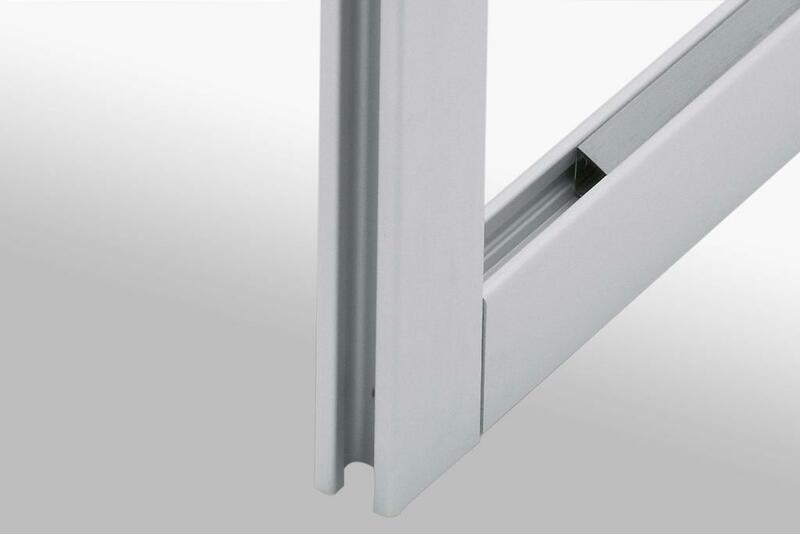 The panel element is secured in the groove by either a Clamp Spring or Lip Seal. 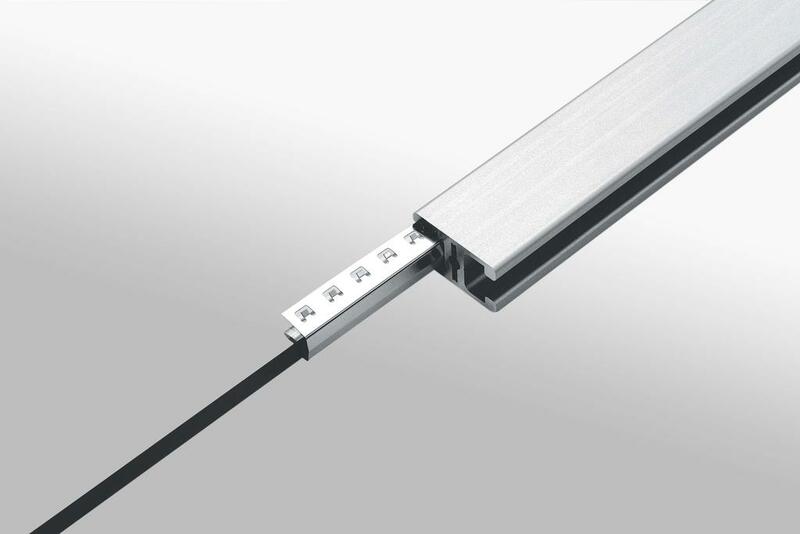 One Sliding Door Guide Set is required for each sliding door. 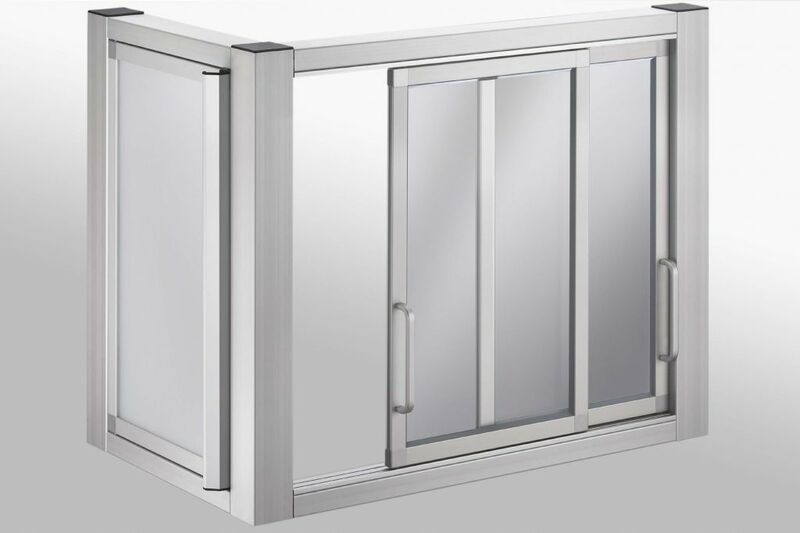 The maximum permissable weight of one door is 10kg. 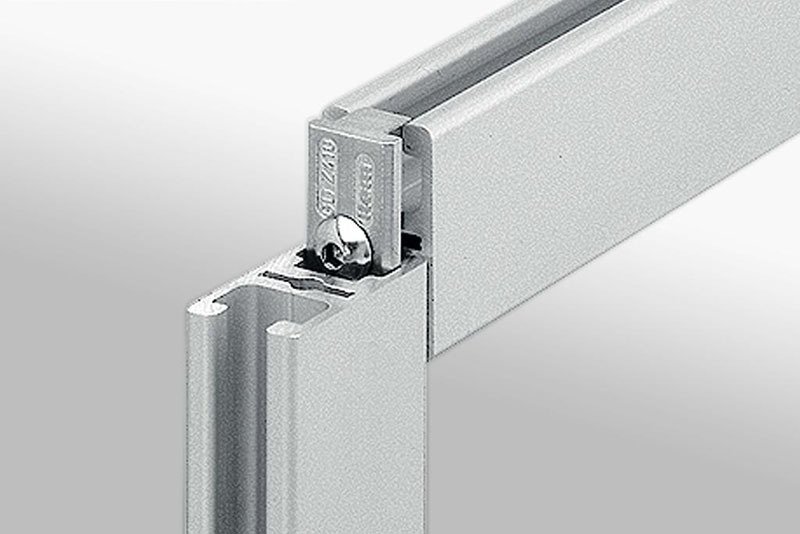 The slide pieces function as stops or catches for the second door at the terminal position. A hinge option is also available. Finish off the design with end caps. The two different types of fastener have corresponding end caps.